William B. 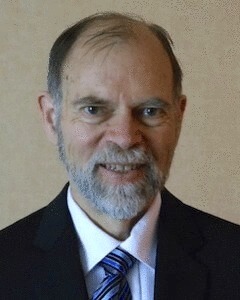 Grant has Ph.D. in physics from the University of California, Berkeley (1971). He had a 30-year career in atmospheric sciences with an emphasis on laser remote sensing of atmospheric constituents such as ozone and aerosols, with positions at SRI International (1973-79), the Jet Propulsion Laboratory/California Institute of Technology (1979-89) and NASA Langley Research Center (1989-2004). In the early 1990s, he worked on a project for the Sierra Club to determine the effect of acid rain and ozone on eastern U.S. hardwood forests. In that project he learned how to use the ecological approach, where populations are defined geographically. He applied this approach in 1997 in a multi-country study regarding Alzheimer’s disease. He found that total fat and total caloric supply were the most important risk factors for Alzheimer’s disease while fish and diets comprised primarily of cereals/grains reduced the risk. This was the first paper reporting dietary risk factors for Alzheimer’s disease. In 1999, after seeing the Atlas of Cancer Mortality Rates in the United States, 1950-94, he set about to try to explain the geographical variations showing low rates for many types of cancer in the Southwest and high rates in the Northeast. This led to his interest in the roles of ultraviolet-B (UVB) and vitamin D in reducing the risk of cancer, leading to publishing a seminal paper in Cancer in 2002 identifying ten types of cancer for which higher solar UVB doses were protective on top of the five known prior to then. This study led to many more studies on the role of solar UVB and vitamin D in the risk of cancer, with many studies supporting the findings of this study. He retired from NASA in 2004 to work on health studies full time, forming the non-profit organization Sunlight, Nutrition and Health Research Center in San Francisco, California. The main emphasis of this organization is to do research and education on the primary risk factors for chronic and infectious diseases with an emphasis on solar ultraviolet irradiance, vitamin D, and diet. He has also investigated the role of UVB and vitamin D in reducing risk of autism, dementia, cardiovascular disease, hospital-acquired infections, influenza, multiple sclerosis, pneumonia, and several other types of disease. He has also used observational data to estimate the reductions in mortality rate and health care expenses from doubling vitamin D levels at the population level. It appears that mortality rates can be reduced by about 15% and life expectancy increased by about two years. He has over 175 publications on vitamin D, and many others on various health topics.